The long awaited North American demo for Soul Sacrifice will finally hit the PlayStation Network next week. The four player cooperative action RPG features a brutal spell casting system where characters can sacrifice objects, parts of their bodies, and even their lives, in exchange for powerful magic. You can sprout blades from your arms, engulf yourself in flames, and even spray your own blood at your enemies. Delightful! The following video features an interview with game designer Keiji Inafune. He explains some of the game mechanics and monster origins. He also mentions "sacrifice" and "cost." A lot. There's also plenty of sweet gameplay footage. I stumbled through most of the Japanese demo, and I can honestly say I'm very excited for this game. If NA is getting the same demo that was available in Japan (and I don't see why it would be different), you should be able to unlock cooperative play after you complete the first six missions. They're short and replayable, so you can grind for more spell offerings. If I recall correctly, and I may be wrong, your demo progress may carry over to the regular game. Always nice to have a head start. I'm just excited to finally be able to play the game in English. I figured out the basics in the Japanese version, easily enough, but there's a decent amount of dialog and story attached to each mission that I just couldn't follow. Plus, I won't have to play a guessing game as to which button sacrifices my co-op partner and which one revives them. That was awkward. 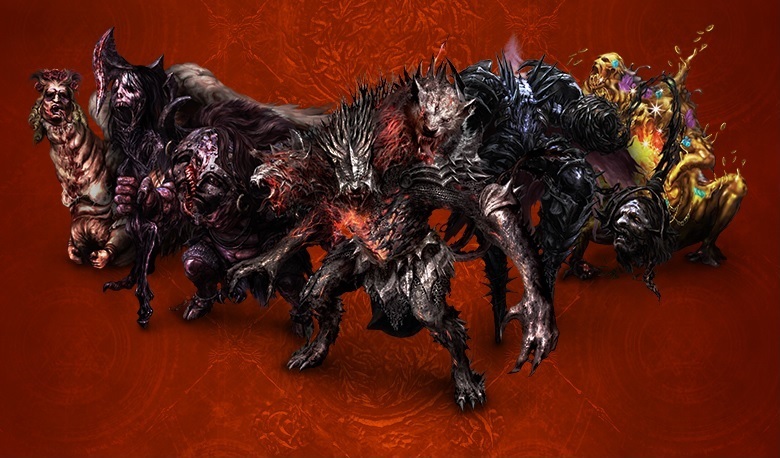 Soul Sacrifice supports four player online co-op and four player local co-op. It is a PlayStation Vita exclusive and has a street date of April 30th. The demo will be available to download from the PlayStation store on April 16th. Page created in 0.5057 seconds.